As on Monday August 27th, the US Mint has shipped 1,380,000 ASE's for the month of August and 9,087,500 YTD. This is interesting, just when the sales of ASE out of the US Mint have jumped compared to past months this year, both APMEX and SD Bullion lowered the price on their ASE's by 5¢ each today. APMEX never lowers their price especially when there is the slightest scent of blood in the air. Question is, are the dealers the ones stocking up on what they perceive to be a great buying opportunity or US? As of Wednesday August 22nd, the US Mint has shipped 1,180,000 ASE'S for the month of August and 8,887,500 YTD. Last edited by valerb; 27th August 2018 at 20:57. As of Tuesday August 28th the US Mint has shipped 1,505,000 for the month of August and 9,212,500 YTD. As of Wednesday August 29th, the US Mint has shipped 1,530,000 ASE's for the month of August and 9,237,500 YTD. Well, they have exceeded the mark for meeting the halfway point to reaching last years total of 18,065,500 and they still have two more day's this month. For the Month of August the US Mint shipped 1,530,000 ASE's and 9,237,500 YTD. They did not report shipping any the last two day's of the month and kept them for a big jump in September, which they are going to need to catch last years numbers. Through the end of August the US Mint is 6,341,000 behind the 2017 numbers shipped for the same period. The amount shipped in the final four months of 2017 was a poor 2,487,000 ASE's, which would require them to ship an additional 8,828,000 ASE's or approximately 589,000 each week over the next 15 weeks remaining in this year, assuming the US Mint would actually have that many to ship. With 1,037,500 shipped in the first two day's of September, I expect to hear a lot of chest thumping from the dealers about it starting today if it hasn't already started and Ted probably accusing JP Morgan of building their stack of Silver with more ASE rounds!! For anyone not familiar with ASE sales over the past ten years, here is the list from worst to first. Years in Red are self explanatory. Last edited by valerb; 6th September 2018 at 15:24. No loosy, you got some splainin to do. (Kitco News) - The U.S. Mint has temporarily sold out of its 2018 American Eagle Silver Bullion Coins and is currently in the process of producing more. “This is to inform you that due to recent increased demand, the United States Mint has temporarily sold out of its inventories of 2018 American Eagle Silver Bullion Coins,” U.S. Mint said in a press release published on Thursday. The announcement comes amidst the strongest silver sales from the U.S. Mint since the start of last year. 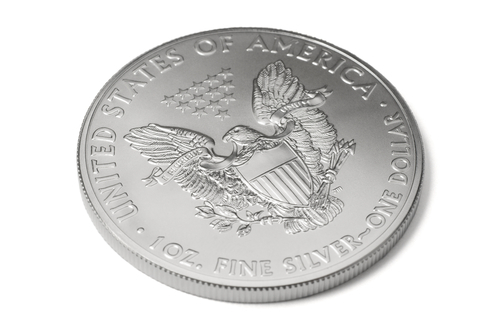 In August, the U.S. Mint sold 1.53 million one-ounce American Eagle Silver coins, up 72% from the previous month. In contrast, sales of American Eagle Gold coins fell to a four-month low in August, mirroring a decrease in sales from the same period last year. While silver coins have done much better than gold coins, physical silver continues to lag in price performance. The gold-silver ratio has expanded to 84.75, while silver has fallen to two-year lows. Peter Hug, director of Global Trading at Kitco, said that the wholesalers responded by raising premiums by as much as 25%. “We think that the increase is temporary and may mitigate in about two weeks. We mention it for the investors that have grown weary of the silver market. For those that have thrown in the towel and want to exit their silver positions, the upside is that bid premiums have also gone higher,” he said in a commentary Thursday. I really don't understand why you would need any explanation on the above, it's plain and simple even you should be able to understand it as to why the US Mint ran out of ASE's this month. I've written enough about that potential this year and in the past and why even if sales should pick up in the last half of the year, the Mint may not be able to meet that demand as they have in all probability cut way back on production based on current years sales activity along with their stock of ASE's in inventory so they would not be stuck with obsolete inventory at the end of the year. I really hate to see the dealers being able to take advantage of a simple situation like this, but It's nice to see a prediction come true based on simple knowledge of management principles. Of course nothing such as Marketing, Inventory control, Production control or cost accounting means anything to you as you apparently never learned anything as a programmer or any other position you've held in your life. Buy a book on business and learn some basics and then you won't be surprised the next time this happens. And before anyone including our own prognosticator should go crazy and try to imply that there is any kind of Silver shortage, let me assure you the shortage at the US Mint has nothing to do with real world Silver levels, it's simply a matter of managing their inventory and scheduling their employees and equipment based on the ASE sales for the first seven months leading up to this point in time. Keep in mind there is no indication who bought those ASE's in August and September and it's really not something we'll ever be able to find out. Just like the Dealers complain the COMEX does not reveal their true activity so everyone can see what's really going on, they are not about to reveal what they actually do or how much inventory they actually sell. Those ASE's might very well have been sucked up for oversees sales or by one or two individuals or just by several wholesalers gambling on the direction of the market at what they believe are rock bottom spot prices. Even if they have all been bought by Silver stackers right here in the good old USA, 2.5 Million ASE's in a five week period is still very small and at that rate for an entire year would put them closer to the 2009 level, some 20 million less than three years ago. It's not a large amount of inventory at all, it just happens to be enough to dry up a low level of inventory being held at the US Mint based on an eleven year low sales activity level. None of this matters, the dealers are not out of ASE inventory, but they are taking advantage of the news cycle to jack up their premiums on information that should go away in short order. If you want ASE's today, then buy some, but rather than just buying them from your regular source because they might have been the best buy three months ago, check to see who has the best price today. SD Bullions sale on Philharmonics couldn't have come at a worse time for them with the ASE premiums being jacked up for greater profit and they got caught with that advertised sale to run until the end of September selling Philharmonics for only $1.19 over spot in tubes of 20. Sometimes we are not the only ones to get the shaft. It's nice to see a dealer take one for their team once in awhile. As of September 5th, the US Mint has shipped 1,037,500 ASE's for the month of September and 10,275,000 YTD. Then the US Mint shut down shipping as they had basically run out of inventory. Shipping to resume on September 17th. For anyone not familiar with ASE sales over the past ten years, here is the list from worst to first. As of Monday September 17th, the US Mint has shipped 1,962,500 ASE's for the month of September and 11,200,000 YTD. Well the Mint sure went back to work and produced what appears to be a million ounces or more in seven work day's, so nothing is holding back sales now. With some predicting spot prices down into the $12 range, that might spur even more sales and not only the 2017 number could be in jeopardy but look out 2008. They still have the rest of this week to ship, but the rush to buy ASE's has fallen off the wagon this past week with only 75,000 shipped versus 900,000 the week before. Maybe investors are waiting for the Spot price to dip back into the $13 range before they pick back up again. As of Tuesday September 25th, the US Mint has shipped 2,432,500 ASE's for the month of September and 11,670,000 YTD. That figures, only 75,000 in one week and then 395,000 the next day. Like I said, they still have the rest of the week and you can never tell what might happen tomorrow. ASE premiums took a drop on Wednesday back to near what they were before the US Mint ran out. APMEX is the only one I list that is still above what they were at that time and they seemed to have "KISSED A GIRL AND DIDN'T LIKE IT TODAY WITH THEIR FLASH SALE ON ASE'S" before the FED rate hike. They were offering tubes of 20 for $2.39 over spot for any qty which was $1.10 under their current listed price per ounce. It sure looked like they were expecting the spot price to take serious hit after the rate hike, whoops!!! Last edited by valerb; 27th September 2018 at 04:20.